Do Robotic Lawn Mowers Actually Work? Find Out Here! We have now reached a day and age where technology has progressed so much that virtually everything is controlled digitally and garden tools are no exception. There are many types of lawn mowers available these days and one of the most intriguing is the robotic lawn mower. What a lot of people may find themselves wondering is whether or not they actually work. In fact, they work very well and there are a lot of benefits that come with using one. Here are just a few examples to give you a better idea. One of the best things about robotic lawn mowers is that there is very little work for you to have to worry about. It depends on the model of mower that you have chosen, but more often than not it is simply a matter of programming in the dimensions of your lawn and letting the mower do the work, it really is as simple as that. As you can imagine, this can save a lot of work, time and energy and it is perfect for the smaller garden as well as those that are significantly larger. A lot of people don’t realise the impact that things like petrol lawn mowers can have on the environment. This is especially true if you have a large garden that requires a lot of maintenance. 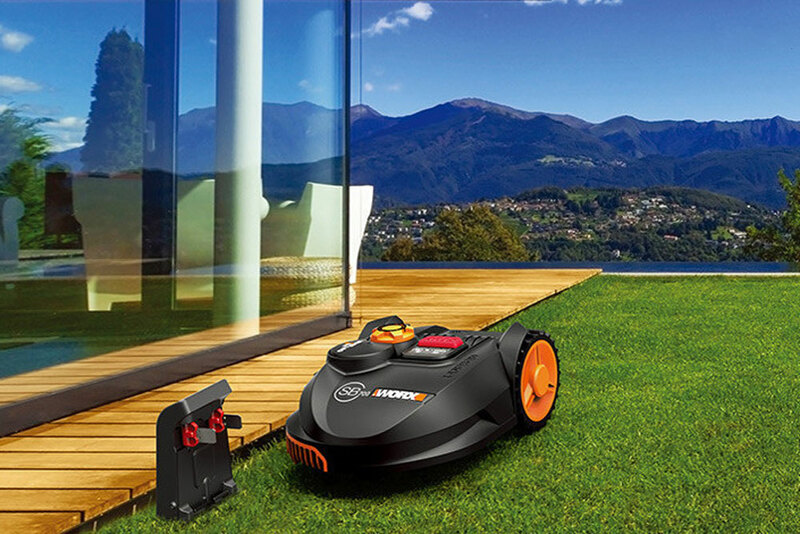 Robotic lawn mowers are powered by rechargeable batteries. Because of this, they are much more environmentally friendly. If you have a large garden then this is especially beneficial. One of the best things about using a robotic lawn mower is that you are able to make your lawn look a lot better. This is because you are able to cut the lawn on a regular basis, leaving it looking healthy and even. Many people actually find that by using a robotic lawn mower they are able to get a much healthier lawn overall. This is because the regular cuts keep it growing back greener and better looking. One of the issues that you will definitely face with a standard lawn mower is that they can require a lot of maintenance. This is especially true of petrol lawn mowers. Not only do they require regular fuel and oil changes but they are also more prone to problems such as the air filter clogging or the fuel tank becoming clogged. One of the biggest advantages that comes with using a robotic lawn mower is that they require very little maintenance. A simple clear off of the clippings after each use and it will be fine to store away. If you struggle with your mobility then you might find that your only option is to pay a gardener to take care of cutting your grass for you. This is fine, but the problem is that the costs often add up quite quickly. For those with limited mobility, it is often a much wiser investment to purchase a robotic lawn mower. It is simply a matter of programming it and allowing it to do its job. Not only will this save money but it also means that you can really keep on top of your lawn. One of the issues that you will absolutely have with standard types of lawn mowers is the noise levels that they produce. Again, this is especially true when it comes to petrol lawn mowers. They can be very noisy and if you live in a built up area then you will be limited as to when you can cut your grass. With a robotic lawn mower, you don’t have to worry about this. They are much quieter than all of the other types of lawn mower that you can buy at the moment. They are often below 60 decibels which is very quiet indeed. If you have a garden that has uneven ground or a lot of slopes then you will find that it takes you much longer than usual to cut your grass. It can be really hard to find the time to do so in between work and other commitments. The biggest advantage of having a robotic lawn mower is that you can save yourself huge amounts of time. The mower doesn’t require any supervision so you could actually program it to mow the lawn whilst you are at work. As you can see, there are plenty of advantages that come with using a robotic lawn mower and yes, they definitely do work. The great news is that these days because these types of lawn mowers are becoming more popular, they are also becoming more affordable. Take a look online, there are some fantastic deals available right now.